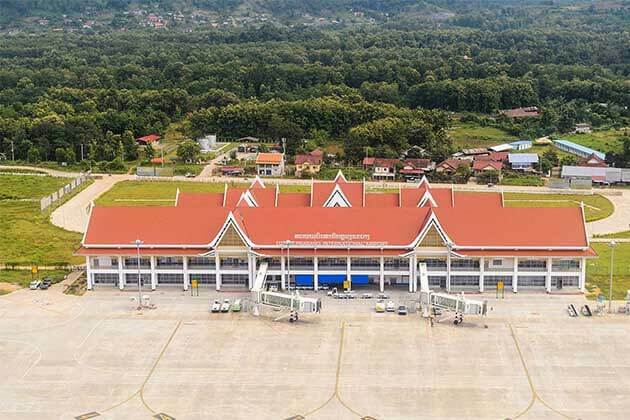 Laos is known as the bright jewel about tourism in southeast Asia. 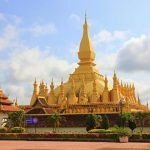 Travel to Laos, you can explore the oldest temples, the majestic mountain or back to the past to visit the historical places. That’s all of the things to make Laos today. 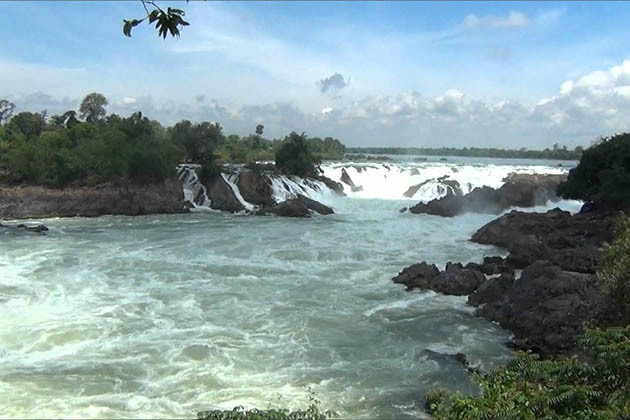 During 8 days Laos trip, company with us and explore the best place in Laos. 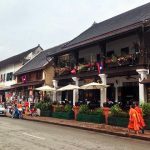 Upon the arrival in Luang Prabang, Our driver and tour guide will welcome you by a warm hug and move to your hotel after a long trip. Take a short rest, Let’s start to visit the impressive stupa of Wat Visoun and the shrine of Wat Aham, Wat Mai. On the way to go up the Phousi Mount where you can see the whole of Luang Prang Town, witness a beautiful sunset view of the city and Mekong River. 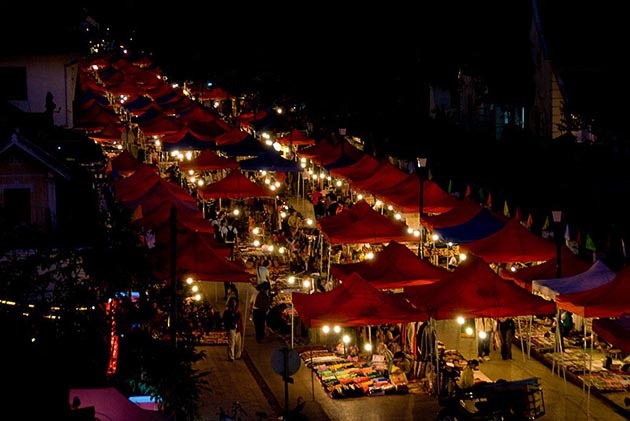 Enjoy your dinner in the hotel before going downtown and explore the Night Market. Continuing the breakfast at the hotel, come to visit the Royal Place Museum which displaces most of the rare furniture of the kings. One thing during your visit, don’t touch any item. 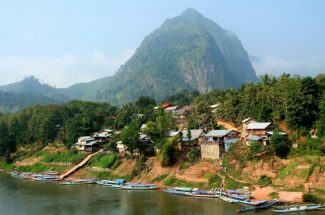 Then, we board a cruise up to the Mekong River where you can enjoy the peaceful life of the Locals, the majestic scenery, close your eyes and enjoy. When you open your eyes, you are in the mysteries of Pak Ou Caves, crammed with thousands of gold lacquered Buddha statue of various shapes and sizes. 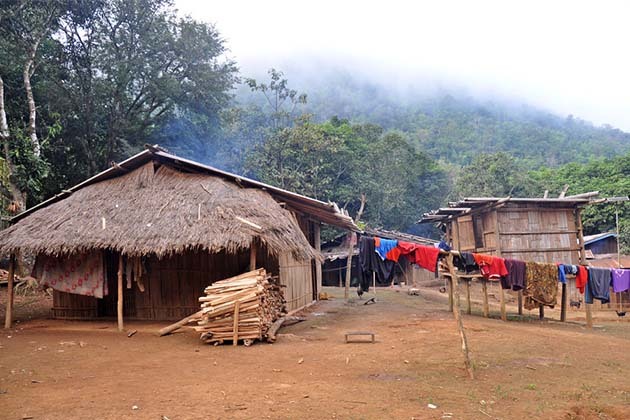 On the late day, we will stop at the village of Ban Xanghai where you can enjoy the real wine of Laos. 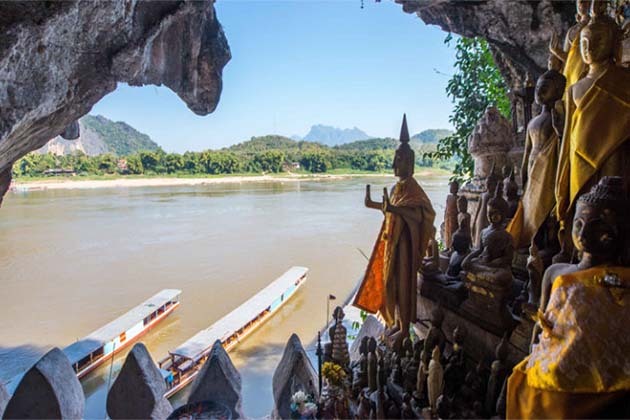 Wake up early and take part in the special ceremony of Laos, the daily early morning ritual of saffron-clad monks with their black alms – giving bowls being given offerings from the local people. 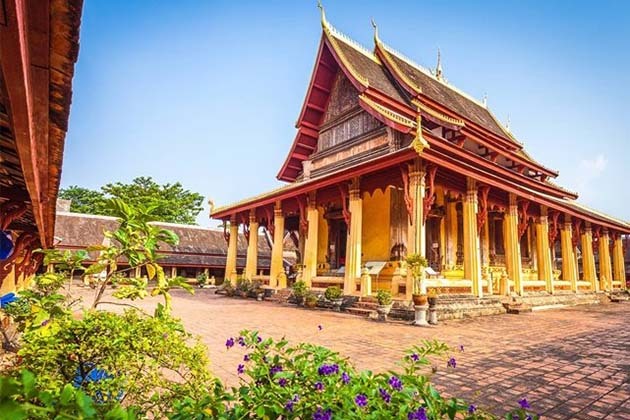 Add more energy in the breakfast, we come to the oldest temple of Wat Sene and the magnificent Wat Xieng Thong with its roofs sweeping low to the ground, which represents the classical architecture of Luang Prabang’s temple. 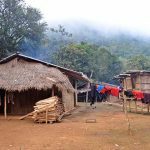 Then, strolling to the morning Phousi Market where you can see the local products such diverse offerings as dried buffalo skin, local tea and saltpeter among the chickens, vegetables and hill-tribe weavings. 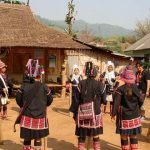 If you have a passion for Laos crafts, come to the Ban Ouay, Hmong Hill Tribe, Ban Ou to see the local people how to made Laos craft. 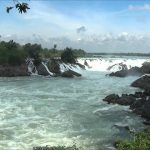 Continue driving to the most Beautiful Waterfall in Laos, Kuang Si Waterfall that is known as the paradise in the ground with the pearl color water. You can splash around in the pools or walk along the forest paths, dip into the cool water. 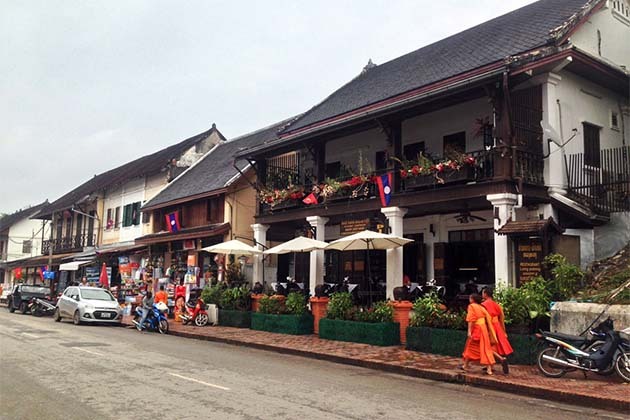 Return to Luang Prabang by late afternoon and visit Wat Siphouthabath to see the daily life of Local monks. Have breakfast on the last day in Luang Prabang before catching the flight to Vientiane. 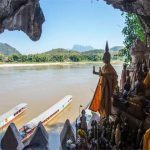 After checking into the hotel, we meet our guide to continue exploring the heart of Laos, Vientiane. 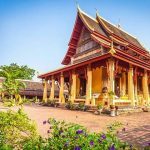 Start to the first site in Vientiane, we visit the oldest Wat Sisaket with thousands of miniature Buddha statues and the former royal temple of Wat Prakeo. In the second day in Vientiane, you will serve the breakfast in your hotel before we board a flight to Pakse. 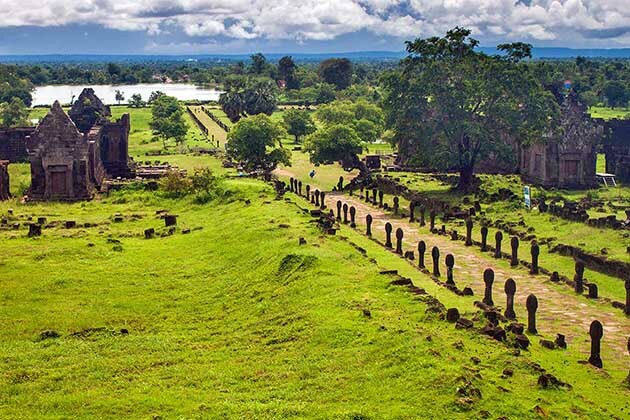 Upon arrival you are met and transferred to Wat Phou at 10:00 am the cruise to Champasak. Then, boarding a local long tail riverboat, zigzagging through mild rapids and sandbanks. 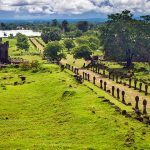 Our guide will introduce to the mysterious pre – Angkorian 10th century temple of Wat Phou. End your day in Champasak, it’s time the dusk falls aboard the Wat Phou, enjoy a relaxing cruise downriver and the tropical sunset. 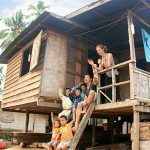 Look around a peaceful life and have a special dinner on board, while the boat docks for the night alongside a remote Laotian village. It is a great breakfast when you are served on board while sailing to the village of Huey Thamo, only a few minutes’ walks away from the Oracular hidden forest temple of OumMoung. After exploring, board the boat for a cruise southwards and lunch on the deck, as we continue our leisurely sail to the wild paradise of the 4000 Islands. 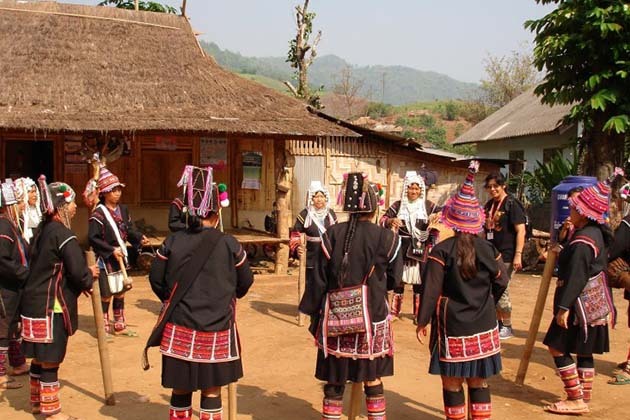 Next, we arrive near to Khong Island at the Ban Dua Tae and visit Laotian Village where the traditional culture still keeps in many centuries. At night, we will have a chance to enjoy the dinner in the boat while listening to the sound of buffalo toads. Breakfast is served on the deck while cruising to the small village of Ban Vethong where we will board a small long Tail boat to Khone Island. 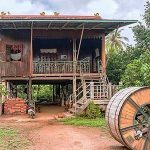 After our visit, take a long tail boat back to the mainland mid the bygone splendor of another age, the colorful French colonial houses, and an old customs post. 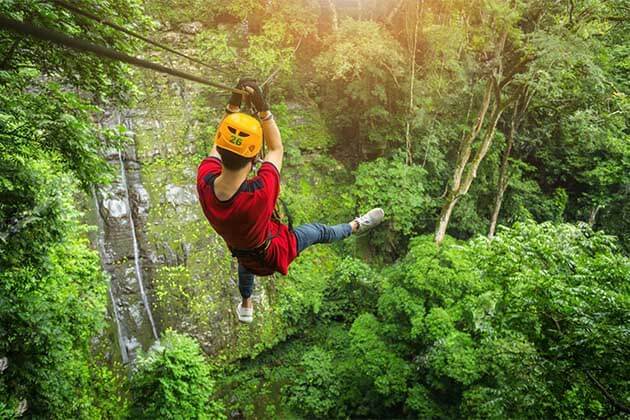 Take a minivan to amazingly scenic splendor of the Khong Phapeng Waterfall. We arrive back to “cilivization” after 2-hour ride to Pakse. Arrive at about 3:30 pm and transfer to hotel. Enjoy a big breakfast on the last day in Laos then we visit a free morning before driving to the airport to catch the flight back to home. 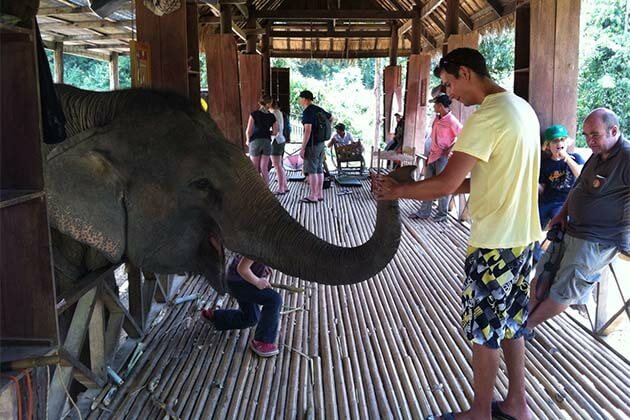 End your 8 days in Laos with our service. Hope you enjoy this tour and see you on other tours of Laos.